I'll tell you... I love eBay. You can find almost anything on there. I'm not being paid to say this, but it's true. Recently, a ton of A&P memorabilia has popped up on eBay. I've probably been one of the biggest buyers on there... 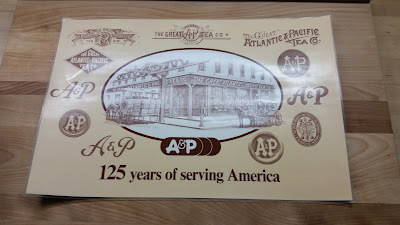 Recently I bought a set of 6 or 8 A&P 125th Anniversary Placemats. These were released in 1984, so they are quite old. I've been looking to buy a set of these since four years before the blog started... at that time, one costed around $40! I got mine for $10 for the lot. A cascade of all the A&P logos throughout the years, and the first store in the center. 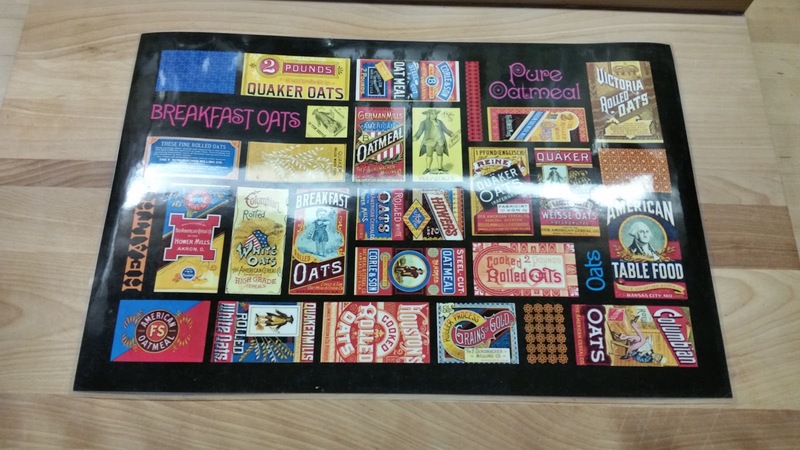 Quaker Oats boxes were on the back. 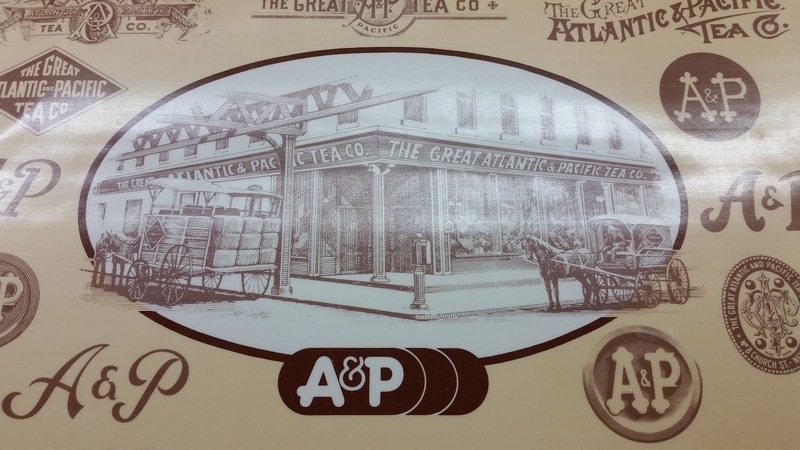 At this time, if I remember correctly, A&P had been heavily marketing Quaker Oats. I still remember the "We Built A Proud New Feeling" commercials and "Super Star Specials" promoting Quaker Oats. I have to admit, these Oat boxes are pretty cool! Nice touch on A&P's end. A final look at 125 Years of Serving America. I should make a mock-up of a 156th anniversary placemat... 1859 to 2015: A Strong 156 Years of Serving America. I actually found two of these placemats at a church flea market about two years ago. I probably could have gotten the pair for less than a dollar, but I didn't buy them since the old, dried-up remnants of someone's dinner was gunked up on both of them (and I really didn't want them if I couldn't get that off - yuck!). Oh well. Yuck! Interesting story of yours, AFB! 50 of them? The whole box will most likely be worth $200. I'd be willing to buy a few.